Your Mikimoto pendant from the South Sea collection gets a fabulous twist. A single 11mm South Sea pearl dangles from a diamond-encrusted bail by a swirl of 18kt white gold embedded with more white diamonds, and it floats gracefully along an adjustable link chain. 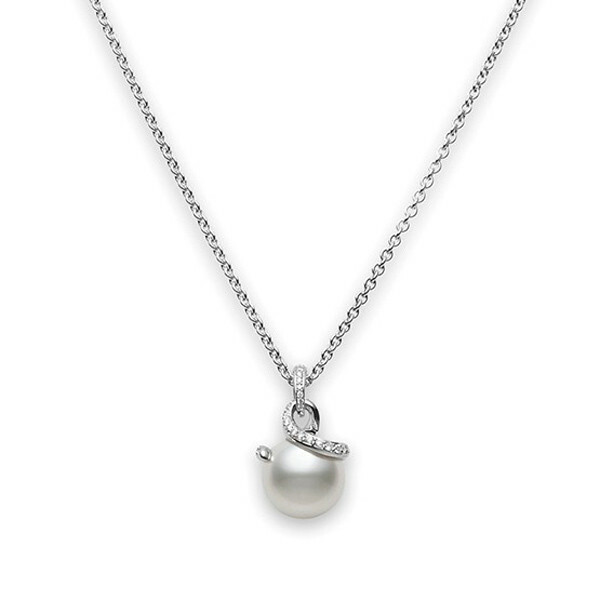 This Mikimoto pendant necklace adds an elegant touch to any outfit.